EMS Series of Congress Reports publishes volumes originating from conferences or seminars focusing on any field of pure or applied mathematics. The individual volumes include an introduction into their subject and review of the contributions in this context. Articles are required to undergo a refereeing process and are accepted only if they contain a survey or significant results not published elsewhere in the literature. Skowroński (Ed. ): Trends in Representation Theory of Algebras and Related Topics. Skowroński, Yamagata (Eds): Representations of Algebras and Related Topics. 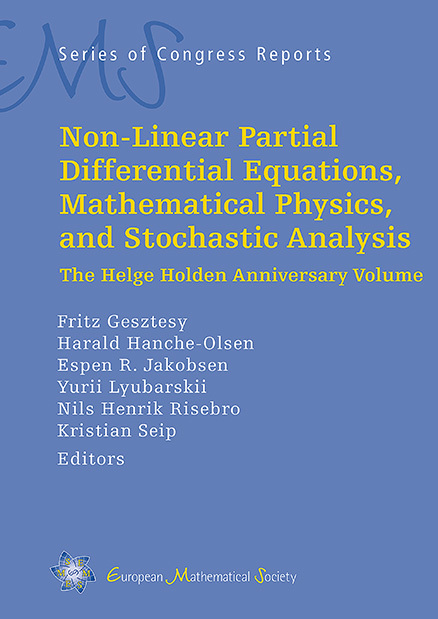 Faber, Farkas, de Jong (Eds): Geometry and Arithmetic. Kawamata (Ed. ): Derived Categories in Algebraic Geometry. Benson, Krause, Skowroński (Eds): Advances in Representation Theory of Algebras. Krause et al. (Eds): Representation Theory – Current Trends and Perspectives.